SINGAPORE - You can now buy digital music and movies from Apple's iTunes Store. Music and movies are a new addition to the iTunes Store for 12 countries in Asia, which include Singapore, Hong Kong, Macau, Malaysia, Brunei, Philippines, Thailand, Taiwan, Vietnam, Cambodia, Laos and Sri Lanka. Users in these markets could only download and purchase apps from the iTunes Store previously. if you do a little research the reason why iTunes or Amazon mp3 music is not available in Singapore / Asia is because piracy. doesn't make any sense ... with or without iTunes store offering mp3 music people are still going to pirate music and video and in my opinion it will help people to be more aware that with only 0.99 cent they can buy a music without a need to pirate it. Welcome to iTunes Store Customer Support. My name is ABC and I am glad to help you today. 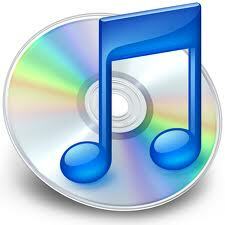 XYZ, I understand you live in Singapore and you would like to purchase music on the iTunes Store. Although purchasing music from the iTunes Store is not currently possible in your country, we do have an App Store for Singapore that you can purchase from. You can buy applications on the App Store and use them on an iPod touch or iPhone. There are thousands of applications ready to download now. Although I cannot comment on future expansion plans of the iTunes Store, rest assured that we are committed to making it available to people around the world. If you have any further queries, please feel free to contact us. We will be happy to help you. Although the answer is not able to satisfy me but I'm happy the way that they answer the customer in a promptly manner. Now iTunes music and movie store is available in Singapore!! !